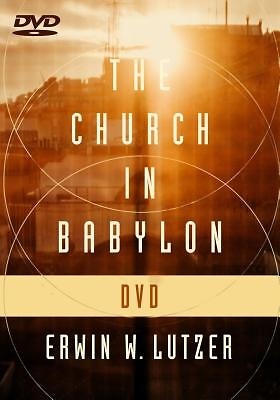 Erwin Lutzer's book The Church in Babylon helped thousands grapple with our cultural climate and how to live faithfully in an increasingly hostile culture. Now on DVD, the message is even simpler to apply in real life situations. In The Church in Babylon DVD, Dr. Lutzer answers both of these questions using the book of Jeremiah. He will walk you through the many parallels between the Church in America and God's people in Babylon, and embolden you to be a Gospel witness. As you work through the videos, you'll be encouraged not to compromise your faith even when under constant pressure from all corners of society. And more than all this you will have a fresh encounter with Jesus Christ, as you delve into the biblical role of those in exile. The Church in Babylon Study Guide is also available to help guide your group or individual study.